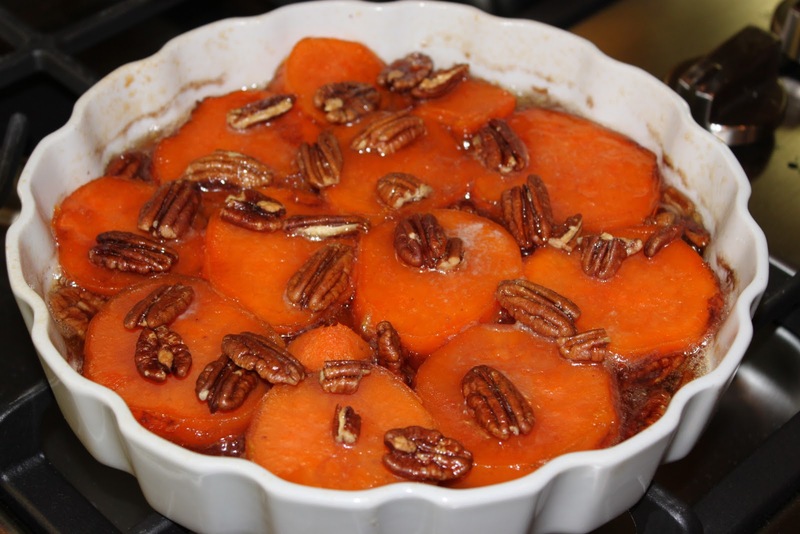 If you like sweet potatoes, I think you will love this. Mom's way of making these has been one of my favorites for ages. Honestly, I like it this way much better than the marshmallow way. 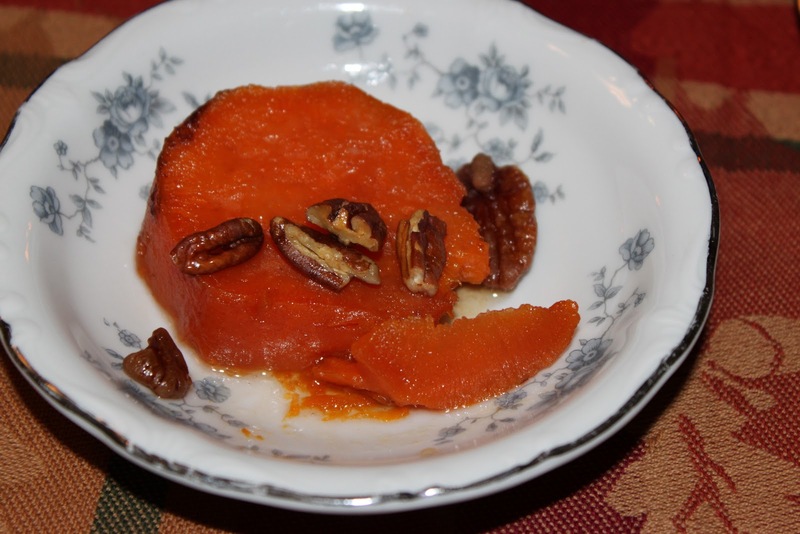 If you want to use canned sweet potatoes, I guess go ahead. I have never used them myself. Let me know how they work out. 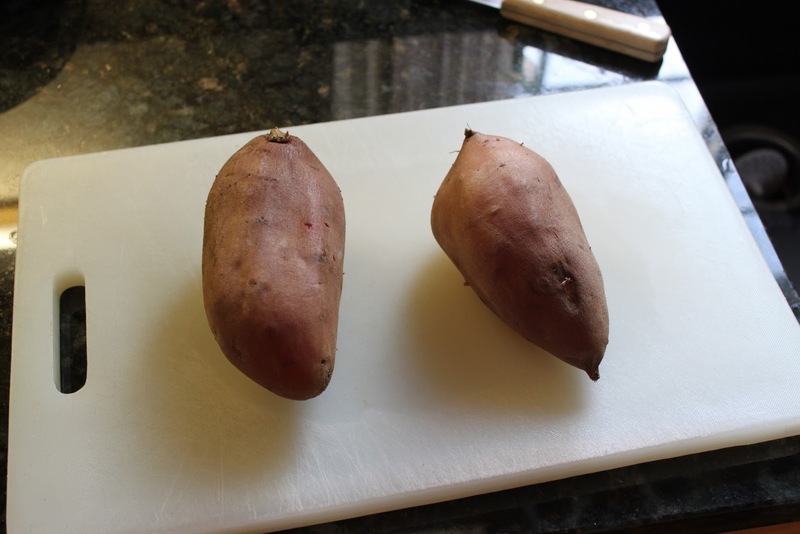 If you're wondering what the difference is between sweet potatoes and yams, in the US, the difference is moot. True yams are not available here. We have all sweet potatoes with different skin and flesh colors. I found some very cool reading on this from TAMU. Other cool things about food are available on Food Timeline. 1. 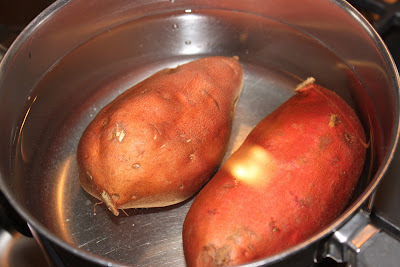 Boil whole sweet potatoes until tender, about 30 minutes. When done, remove from water and let cool until cool enough to handle. 2. Peel sweet potatoes and slice into rounds about 3/4" thick. 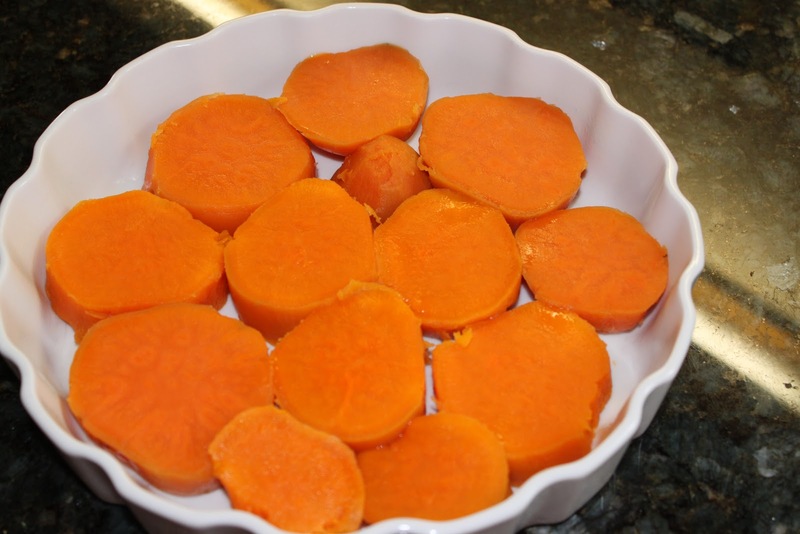 Arrange slices in a baking dish in one layer. 3. 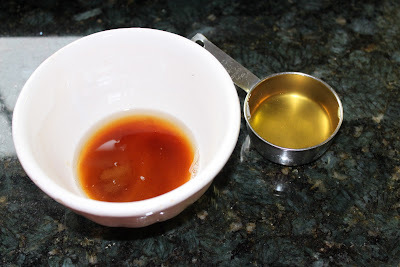 Combine brown sugar, brandy, corn syrup. Stir until the sugar has dissolved. 4. 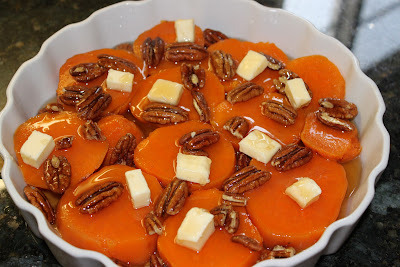 Scatter pecans over sliced sweet potatoes. Scatter diced butter over top next. Drizzle sugar syrup over all, try to coat everything evenly. 5. Bake at 375F for about 30 minutes. Finished, it should be glossy and heated through.